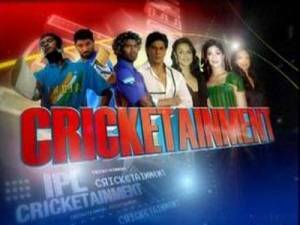 Lights, Camera and Bang: Cricketainment? Before the first ball is bowled in every IPL match, the umpire should probably stop saying “Play” and start saying “Lights? Camera? Go Bang!” May be have a countdown as the bowler runs in to bowl. This could be one of the many innovations that could come into cricket over time with the IPL. One of the commentators suggested sixers are not enough, we should start introducing eighters specifically for the IPL. Among the administrators, someone said that one of the innovations this year was that curators have been instructed to create pitches where anyone should be able to score 160, because ‘the crowd wants to see fours and sixes’. Another innovation has got to do with having celebrities play at the end of the match or something like that – to give the crowd a flavour of celebrity cricket. Fours years back when the IPL started, the public position was ‘it is good for Indian cricket and will lead to local talent being given a platform to perform.’ Of course, no one who knew anything about the business of TV and cricket believed them even then. Because there were better platforms for local talent already in the form of Ranji Trophy and other domestic tournaments. What was missing was nobody watched them, so no money could be made out of them. So now you had a format which could easily enter living rooms (and bedrooms – if you have a TV there!). And by getting some of the richest people in India have a stake in its success, the recipe for a potent mix of cricket, entertainment and business was already cooked. So four years later, there is no pretence anymore that this is not about cricket, but about ‘cricketainment’. Now don’t get me wrong. Commerce is good for cricket, it has been good for sport, in general. Youngsters can now think of making a serious living out of only cricket – even if they never ever play for India, or for any country for that matter. In fact, a better living perhaps. And that can only be good for every one involved – at least from the point of view of making a living. But the unpretentious mix of business, cricket and entertainment which seems to be a given in this year’s IPL seems to have something uniquely crass and ugly about it. This potpourri package is also being sold on a platter to cricket fans, current and potential, as ‘family outing or entertainment’. Perhaps someone advised them that ‘they need to revive the brand and broad base the market’. Perhaps they are right, cricket is only a pretext. What is really happening is to create content that gets audiences so that advertisers pay for the ads. Like the ‘Financetainment’ on business channels or the ‘Newstainment’ on news channels. So now with ‘Cricketainment’ you are, more or less, doing the same. With the players and teams being the main cast, and the multiplier effect of coaches, commentators, cheer leaders, experts, and all kinds of people and tools in the support cast – in multiple languages – it is about creating something of interest, and trying to reach an audience that apparently is easy to get hooked on to cricket. So someone figured, why call it cricket? Let’s call it cricketainment. Warren Buffett once said “We believe that according the name ‘investors’ to institutions that trade actively is like calling someone who repeatedly engages in one-night stands a ‘romantic. '” Calling IPL ‘cricket’ is, probably, something like that. ‘Cricketainment’ is a better name. The problem is every one else thinks it is cricket. May be from next year, they should have a disclaimer like the finance channels, serials and other programs. One Response to Lights, Camera and Bang: Cricketainment? According to me , IPL cricket is a national waste of time and money. During last two years, we have lost everywhere. We did not get any great cricketer who could bring trophy for India. People are simply mad and they call these cricketer god. I do not understand this madness and why people waste their time and money for watching this IPL game where sponsorers are looting public money. D Y Patil stadium did not pay Rupees five crores for police security and Modi who was man behind IPL is absconding.It is a national loot.